Proteus is an easy to use FPGA Development board featuring the Xilinx Kintex-7 FPGA with 4GB DDR3L SDRAM. This board contains the Xilinx XC7K160T– FBG676 FPGA. 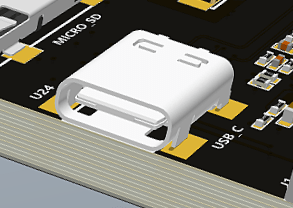 The high-speed USB 3.1 interface (USB-C connector) provides fast and easy configuration download to the onboard SPI flash. 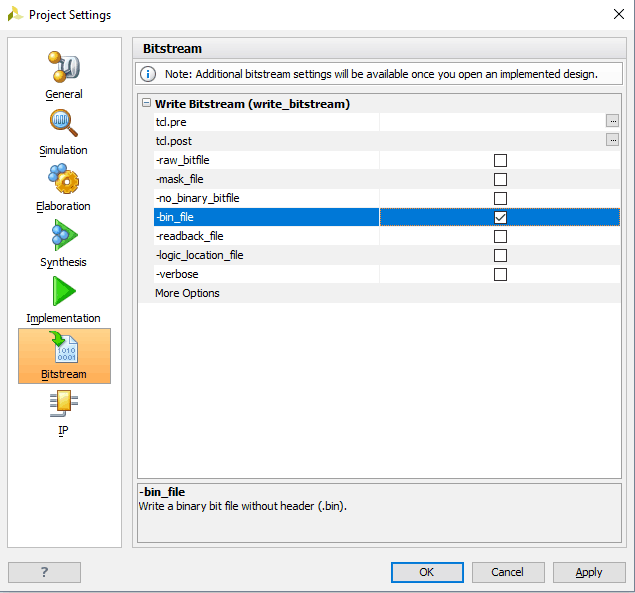 There is no need for a programmer or special downloader cable to download bitstream to the board. 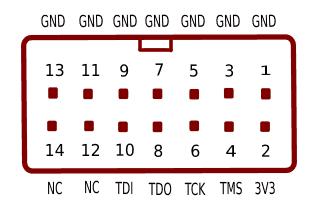 The board features a High Pin Count (HPC), high-speed FMC connector for addition of extra features to the board by utilizing custom or commercial off-the-shelf daughter boards. Proteus provides user the flexibility of adding their own peripherals through the ANSI/VITA 57.1 standard compliant FMC HPC connector. 1 RGB LED for custom use. This diagram should be used as a reference only. For detailed information, see Proteus’s schematics and mechanical dimensions at the end of this page. Details of individual connectors are as shown below. Proteus requires +12V power supply to function properly which can be supplied via DC Connector. The current requirement for this board largely depends upon your application. The Proteus module works on the power supplying 0.6 A and 1 A of current for simple applications. However, a power supplying 2 A of current is recommended for a smooth running of bigger applications. 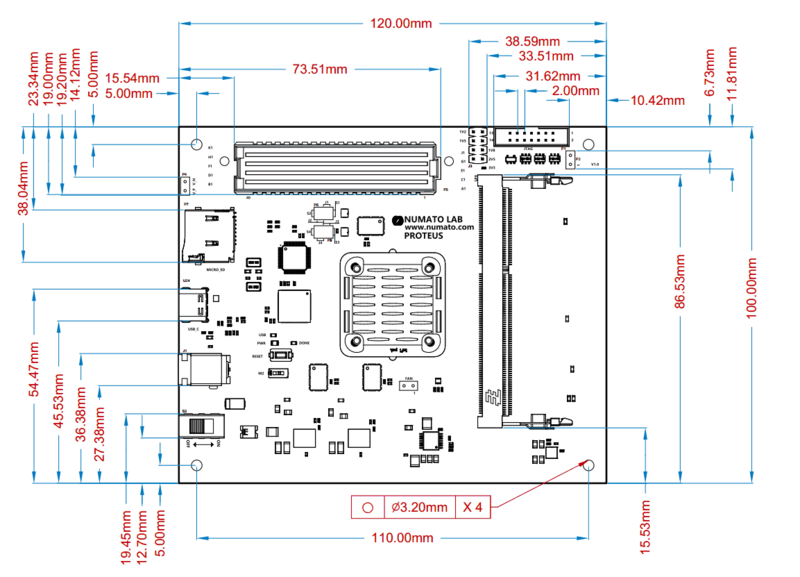 Kindly consult the FPGA data sheet for more details on power requirements. The Power Switch S3 is used to configure the power source to the board. Slide it to ON to supply power to the board from USB or External DC Jack. Slide it to OFF to power off the board. A Heat Sink comes factory-installed with Proteus to provide for heat dissipation for the Kintex-7 FPGA on board. A header is provided to optionally connect a fan (not factory installed) for forced-cooling. 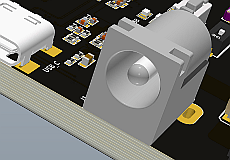 The fan’s speed is controlled by the FAN_PWM signal connected to FPGA IO location J25, and the signal is pulled up by default, which means unless actively driven to 0 or controlled via PWM, the fan will run at maximum speed. Proteus features a SODIMM Memory Slot, factory-populated with 4GB DDR3L SDRAM. Only compatible modules should be inserted into this slot. 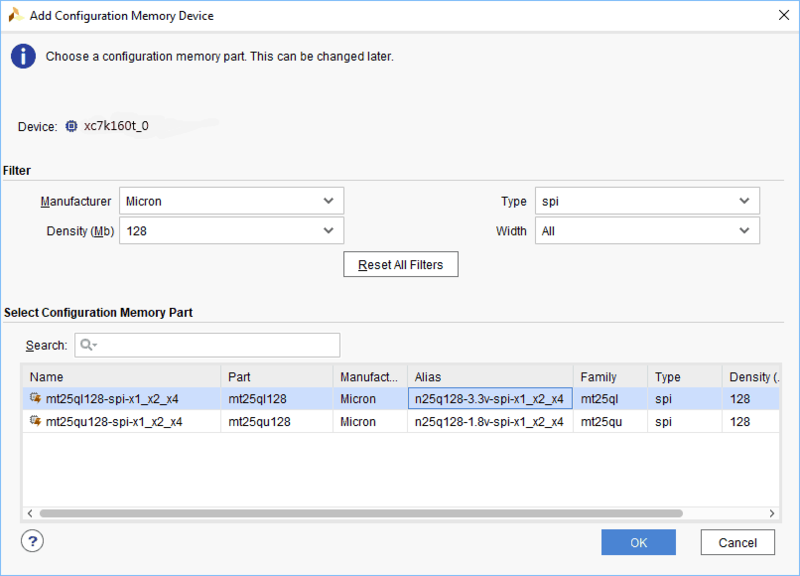 FPGA startup configuration mode can be selected using switch S1. Sliding it to ON puts FPGA in “JTAG” configuration mode. Sliding it to OFF puts the FPGA to “Master SPI” configuration mode. Proteus features a Push-button S2 normally meant to be used as “Reset” signal for designs running on FPGA. Push-button S2 is connected to FPGA pin C26. Push-button S2 is active-high. This pushbutton can also be used for any other input and is not just limited to be used as a Reset signal. Proteus features an RGB LED which can be used for customizing or debugging purposes. The LED is wired in active-low configuration. The Proteus FPGA JTAG chain configuration can be altered according to requirement by using the DIP switch P2 located near the JTAG Header. Proteus has automatic FMC detection using PRSNT_M2C_L signal from FMC. Normally, when an FMC board is not connected, the Proteus’s onboard circuitry will automatically close the JTAG chain keeping FMC out from the chain, so no user intervention is required. But, still jumper P2 has been provided as a redundant backup to close the JTAG chain in case the automatic circuitry doesn’t work due to non-compliant FMC modules connected to Proteus, or any or unforeseen reasons. 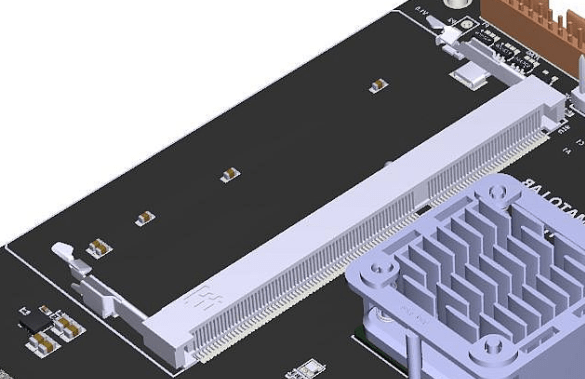 Proteus features a high speed, high pin-count FMC connector which can be used to provide additional features and capabilities to it using custom or commercial-off-the-shelf daughter boards. Apart from IOs, 8 GTX lanes are available via FMC connector for custom purpose. This product requires a driver to be installed for proper functioning when used with Windows. The D3XX driver can be downloaded from http://www.ftdichip.com/Drivers/D3XX.htm. Proteus also has one FT232h which requires D2XX driver (It can be downloaded from http://www.ftdichip.com/Drivers/D2XX.htm). Windows Users should download and run the latest WHQL Certified executable file that will prompt to install the FTDI CDM drivers. When driver installation is complete, the module should appear in Proteus Flash Config Tool as Proteus Kintex 7 USB 3.1 Development Board. 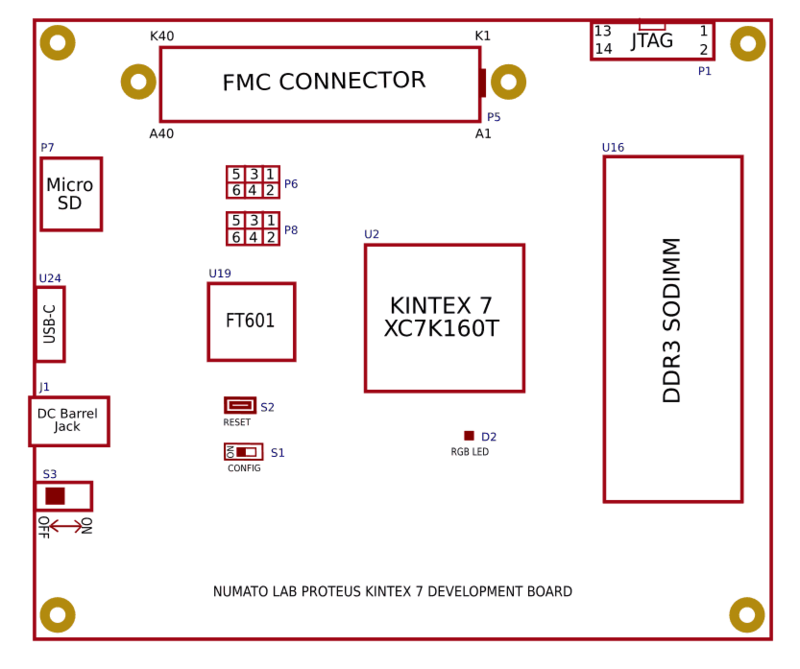 Proteus Kintex-7 USB 3.1 Development Board features an onboard JTAG connector which facilitates easy reprogramming of SRAM and onboard SPI flash through JTAG programmer like “Xilinx Platform cable USB”. Following steps illustrate how to program FPGA on Proteus using JTAG. 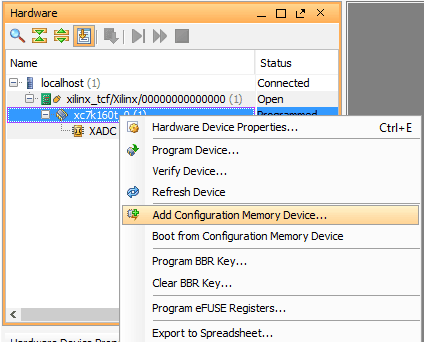 Step 1: Connect Xilinx Platform cable USB to Proteus using JTAG cable. Power up Proteus. 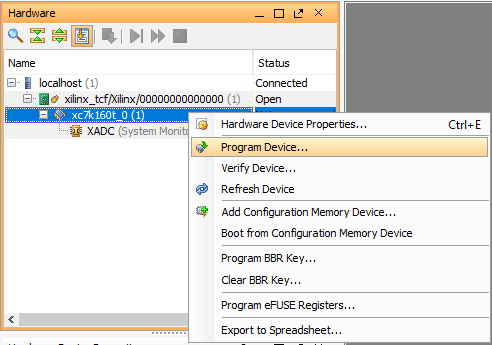 Step 3: If the device is successfully detected, then right click on the “xc7k160t_0(1)”. Select “Program Device” as shown below. 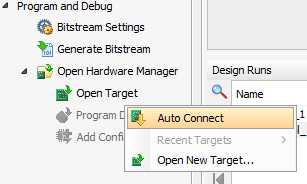 Click on the “Program” button and let the FPGA be programmed. There is a green colored LED (D1) on Proteus which was lights up as an indicator that the FPGA is not programmed. Hence, once the programming process of FPGA is completed, the LED stops glowing. 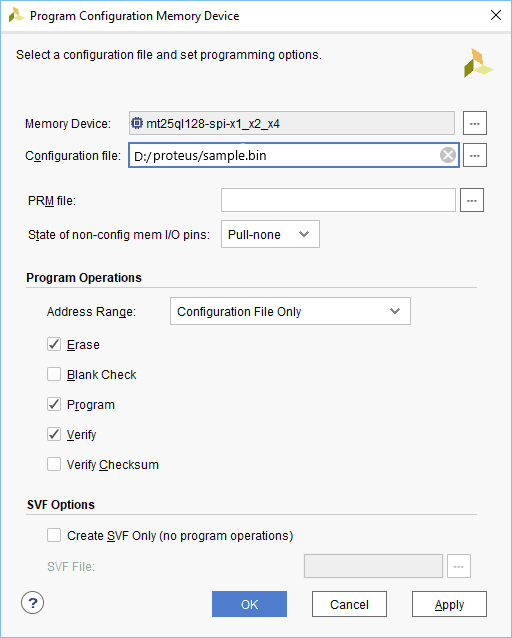 A .bin or .mcs file is required for programming Proteus’s on-board QSPI flash.